About Us - Stephen M. Sgrazzutti D.D.S. Dr. Stephen Sgrazzutti grew up in Saginaw, Michigan. He graduated from Douglas MacArthur High School and attended Central Michigan University. He continued his education and received his doctor of dental surgery degree from the University of Detroit-Mercy school of Dentistry. Dr. Sgrazzutti is a member of several professional organizations including ADA, MDA, Saginaw Valley dental Society and Vedders society. Dr. Sgrazzutti also works with patients from Donated Dental Services, offering his time and services. Dr. Sgrazzutti began practicing in 1988. He opened his own private practice in 1992, after 6 years he built his current location. He and his wife Shelley live in Bay City. They have two children. Dr. Sgrazzutti enjoys hunting, fishing, boating and other outdoor recreational activities. Dr. Sgrazzutti is constantly and actively working to provide the highest quality of dental care to his patients. He is committed to staying on the forefront of dentistry and offering the most advanced dental care with a painless and personal touch. Our team truly enjoys building long lasting relationships with our patients so we can better meet their needs and welcome them to our dental family. We are pleased to announce that Dr. Nicholas White is joining our practice. Dr. White is from Saginaw and attended St. Stephens elementary and Nouvel Catholic Central High School. 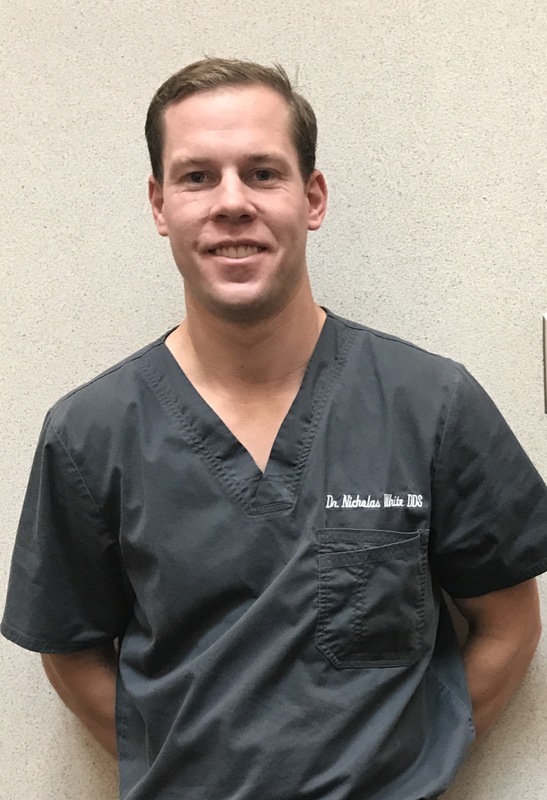 He received his Bachelor’s degree in Human Biology from Michigan State University, and then he went on to attend University of Detroit Mercy School of Dentistry and received his Doctorate of Dental Surgery in 2016. Dr. White’s focus in Dentistry is in General Practice including restorative, extractions, endodontics, crown/bridges, veneers, root canal therapy, implant restorations and cosmetics. While attending University of Detroit Mercy, Dr. White helped start Team Smile, which he worked closely with the Detroit Lions to provide dental care to the less fortunate children in the Detroit area. He volunteered for Give Kids a Smile which is a program affiliated with the University. He is an active member of our community, giving back to Nouvel and Holy Spirit Catholic Church. 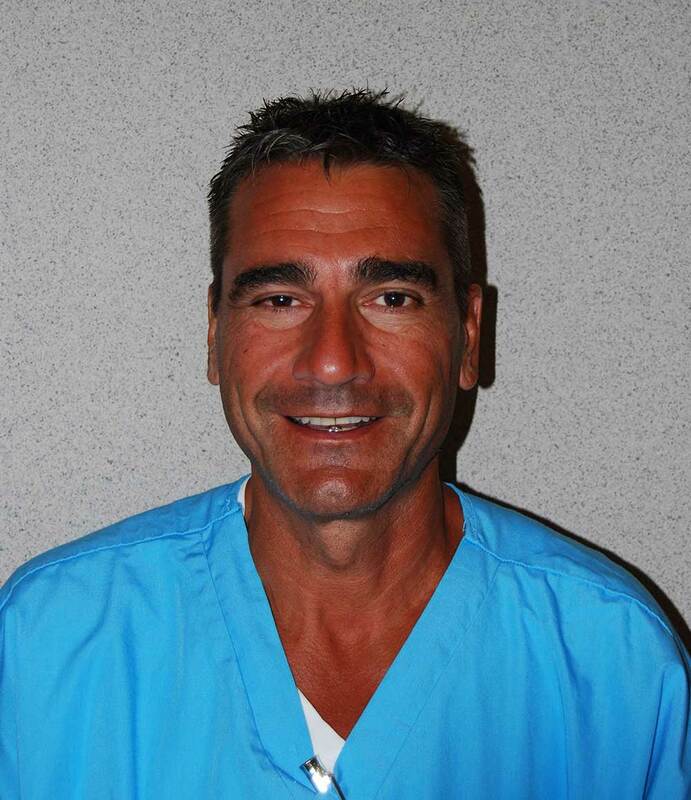 He is an active member of Michigan Dental Association, American Dental Association, and Pacific Aesthetic Continuum. Dr. White enjoys spending time with his family, watching and participating in golf, football, basketball, and baseball. We are very pleased to add Dr. White to our team! His energy and compassion for the highest standard of dental care for patients will enhance our practice. Michele started working in the dental profession as a co-op student, training as a dental assistant, but soon found her love in the business area at the front desk. She and Dr. Sgrazzutti have worked together since May of 1996. She will greet you at the front desk, and enjoys helping and interacting with patients to give them the best care possible. Michelle also has the role of Office Manager. She lives with her husband Mike, they have two daughters and a son, all three married children and six grandchildren. She enjoys spending time with her family, working out, and bike riding. 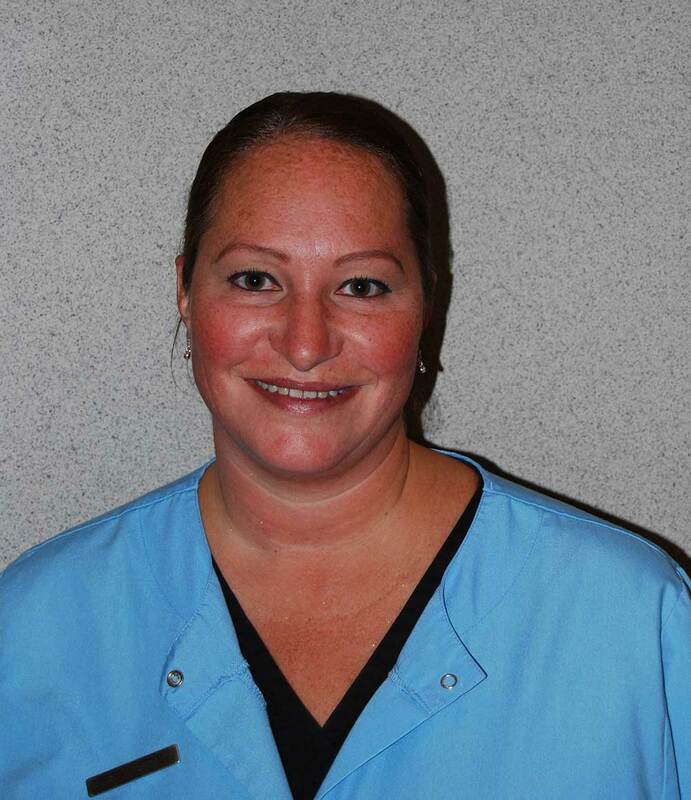 Maria is a registered dental assistant and has been in the dental field since 2005. She came to work in Dr. Sgrazzutti’s office in 2013. She went to Mott Community College, graduating with honors, and president of her class. She aspires to provide the best dental care and the most comfortable environment for her patients. She lives with her husband Jim, son Brandon, and dog Bruno. She also has a son Andrew, daughter Christina and two grandchildren. Her hobbies are gardening, hunting, bike riding and boating. She loves her job and spending time with her family. 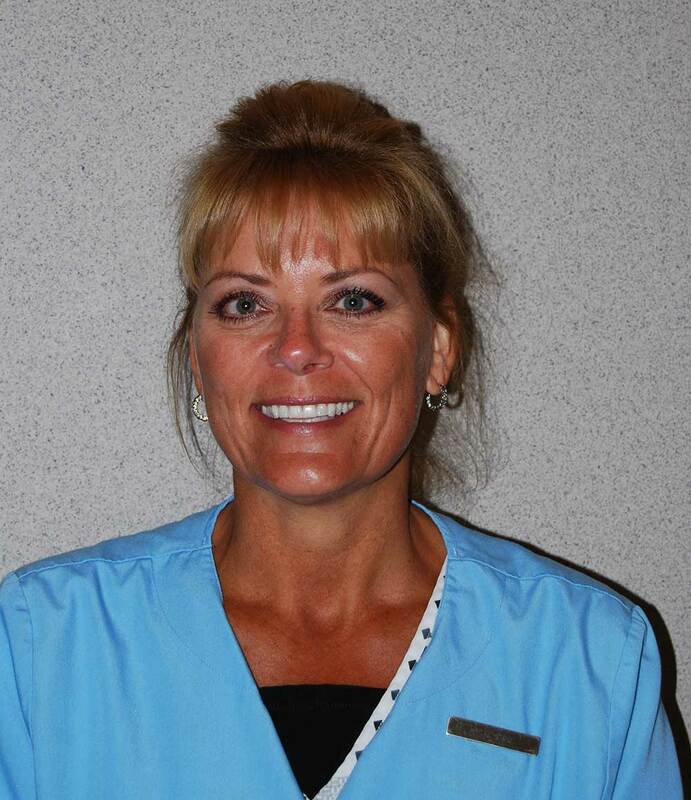 Missy started working in dentistry for Dr. Sgrazzutti in 2000 and hasn’t looked back since. She enjoys learning, while working side by side with Dr. Sgrazzutti. As an assistant the combination of working so closely with patients, and the incredible opportunity to learn and grow makes this the perfect job for her. She lives in Saginaw with her daughter and son. Missy enjoys supporting her children in all their sporting events and activities and loves spending time with friends and family. 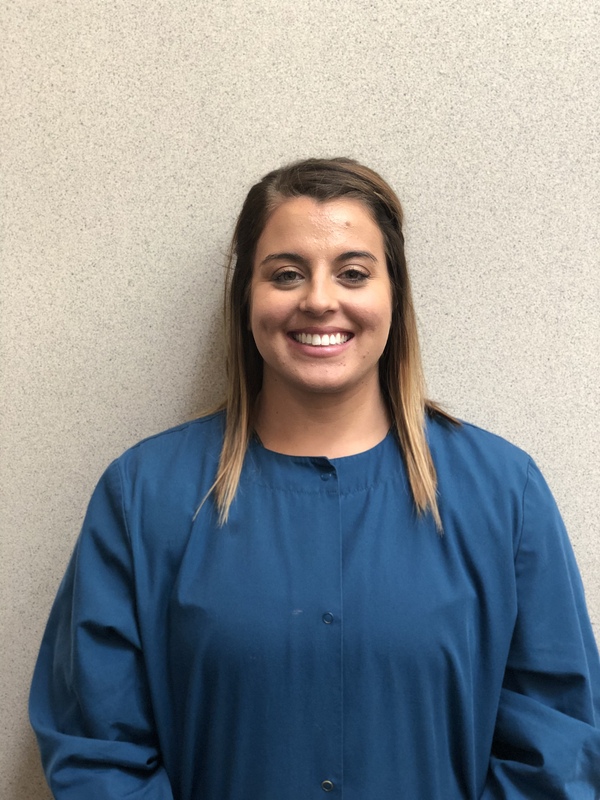 Erin is a dental assistant and started working at Dr. Sgrazzutti’s office in 2018. Erin graduated top of her class from Ross Medical Center and plans on continuing her education. She lives with her fiancé on the family farm and with their two dogs. When she is not at the farm, she enjoys boating, hiking, and crafting. Lori found a passion for the dental field while working at a dental office when she was in high school. Lori graduated with honors from Mott College in Flint, MI in 1997. She has enjoyed working as a dental hygienist for Dr. Sgrazzutti since 2000. She is a kind and caring individual who provides patients with the utmost care. In her spare time she enjoys gardening, fishing and sailing with her family on Grand Traverse Bay. Lori lives in Clio with her husband Sean, and their two boys Matthew and Casey. 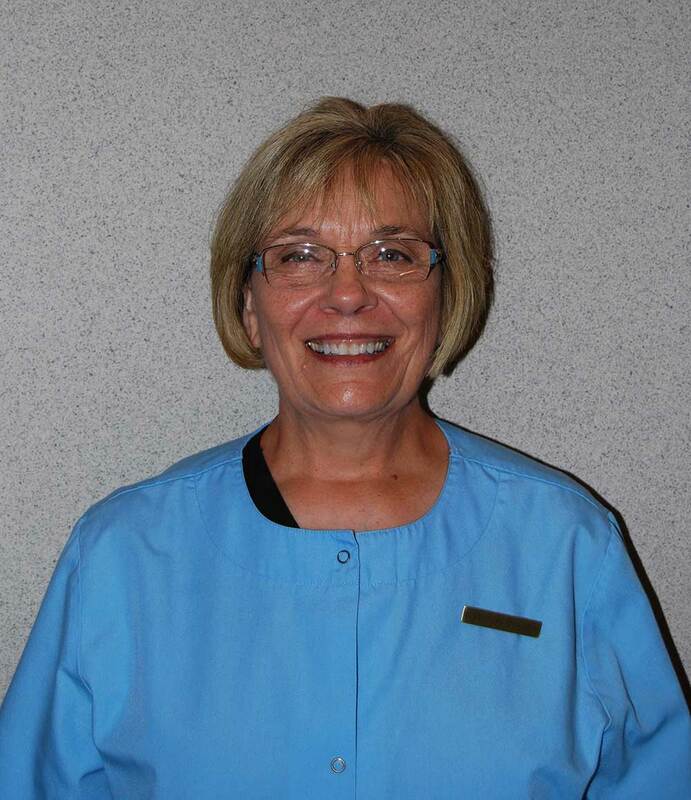 Connie is a registered dental hygienist and started working for Dr. Sgrazzutti in 1998. 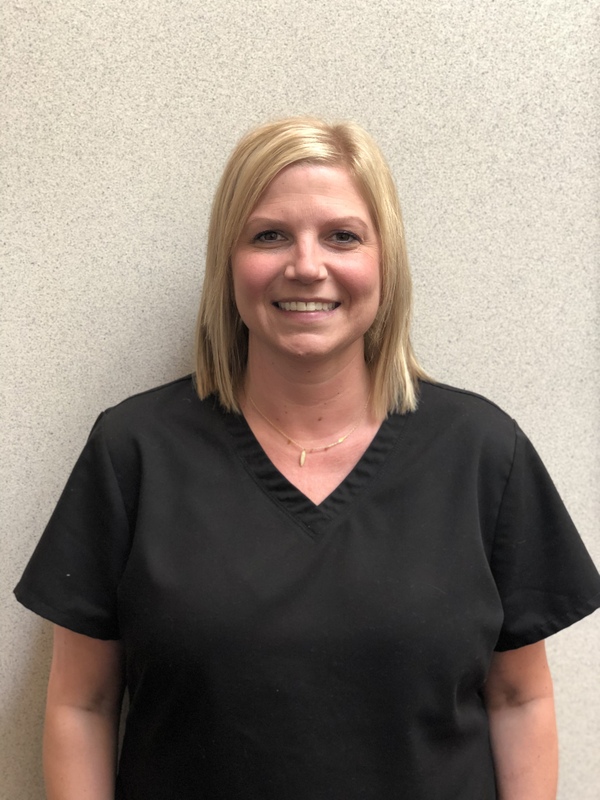 She is a graduate of Ferris State University and has enjoyed helping patients keep their smile healthy for many years. She brings extensive experience and expertise in periodontal therapy. Connie is a lifelong resident of Saginaw. She has three sons and five grandchildren. 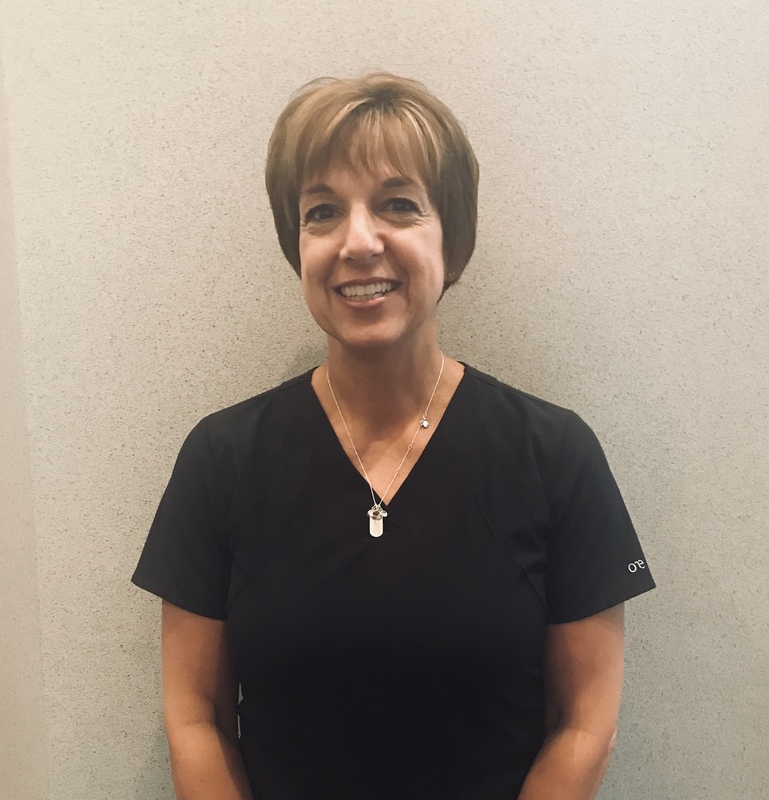 Julie is a registered dental hygienist and started working with Dr. Sgrazzutti in 1993. She went through the dental hygiene program at Mott Community College. She is proud to say that she has been with Dr. Sgrazzutti her entire career. She is married and lives with her husband in Clio. Together they have three boys and one granddaughter. In her spare time she enjoys gardening and riding with her husband on their Harleys. Krystal is a registered dental hygienist and graduated with honors from Delta College. 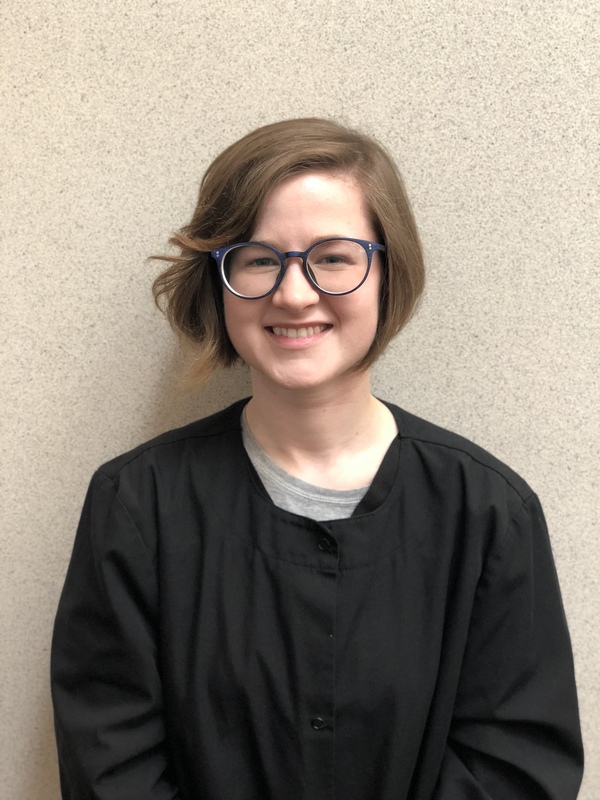 Krystal joined our practice in January 2019. She is excited to develop new relationships with patients and help them maintain their dental health for years to come. In her free time, she enjoys traveling, painting, dancing, and spending time with her family. 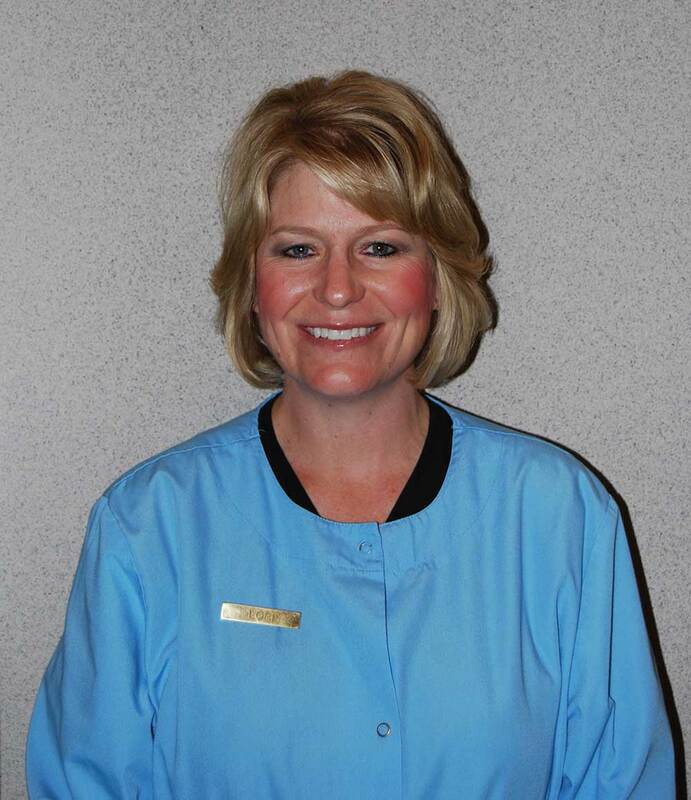 Heidi joined our team in 2008 as a dental assistant. She was born and raised on Saginaw. Heidi received her Bachelors from the University of Massachusetts, Amherst. In 2011, Heidi chose to be a stay-at-home mom for her son and daughter. Currently, Heidi has rejoined our team in January 2019 as a hygiene coordinator. Heidi is excited to be back to see the smiling faces she once worked with before. Being in the front row, she enjoys seeing new patients and following up with families and their care. In her free time she enjoys supporting and cheering on her two children with all their sporting events and school activities and also spending time with her dog, Hershey.